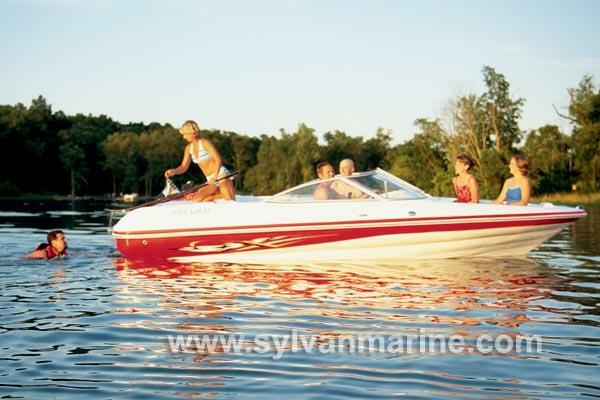 Boat Description The Sylvan 190 features seven-layer fiberglass construction, ISO NPG marine gelcoat, and a carpeted floor. Standard amenities include stainless steel cleats, 37-gallon fuel tank, ski ring, boarding ladder, color-coordinated top, navigational lights, built-in cooler, and plenty of in-floor storage space. The sporty console features easy-to-read instrumentation, cozy seating, and a CD player with two speakers. Deadrise at Transom 15 deg.